Is your Salary up to Date with 2016? We define an salary as one that takes into account factors such as skill level, demand and cost of living. Combined, they render the big picture of an effective income. 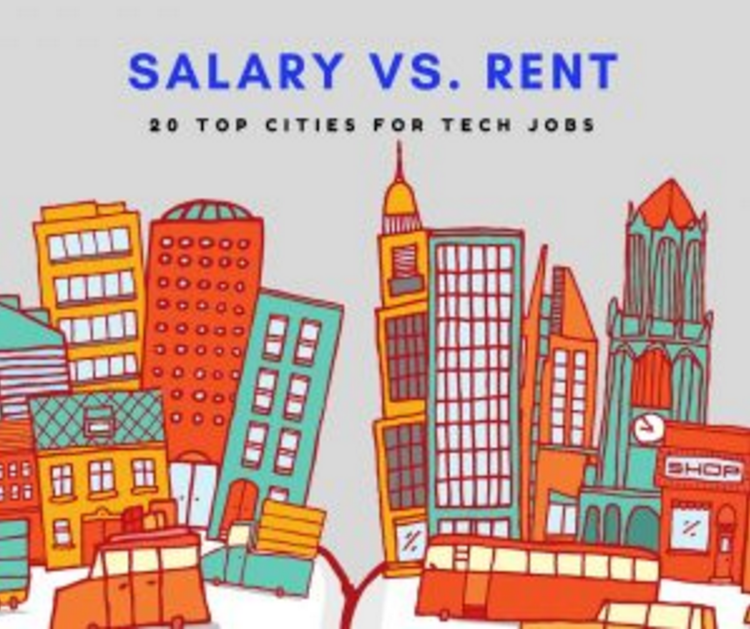 San Francisco, home to Silicon Valley, tops the list for tech salary and demands the highest rent. 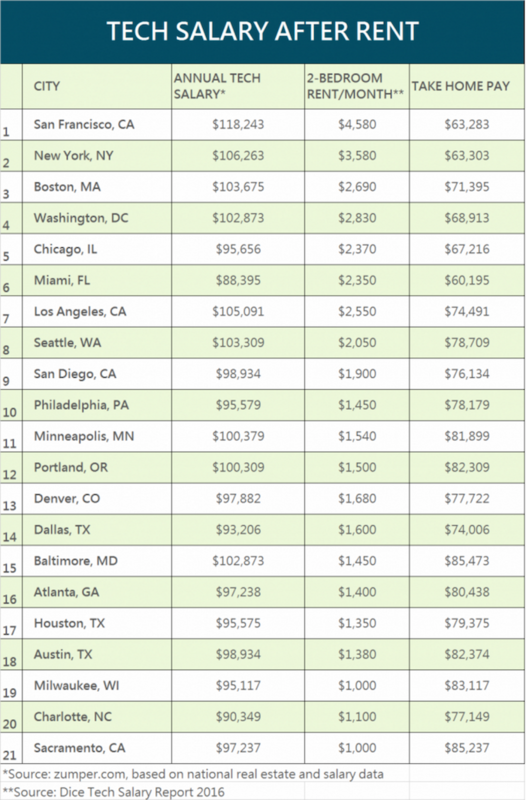 You could earn less in Baltimore and still take home $20K more. Cities like Denver offer mid-market salary but with the affordable cost of living, this area would be attractive to professionals at any phase of their life-meeting cost of living, saving and wealth preservation. Depending on your short and long-term goals, your area of residence may be working in favor of your job satisfaction, or against it. Proud to see that our hometown, San Diego, offers a competitive salary and cost of living, which is why we believe it's among America's Finest for tech. As recruiters who advise highly in-demand IT professionals, we always look to provide accurate data that enables you to make informed decisions about your career.